Let’s show the Dads- they really do have everything! Fathers Day is always one of those tricky ones in our house. When I ask my partner what he wants or I think about my own Dad, they seem to have most gadgets, books, clothes already and if they don’t- neither of them are shy to go and buy themselves what they are needing at the time. Which started me thinking…….. one of the most common sentences we hear at the studio is that ‘my husbands not that into photos’ or ‘I’ll have to work on my husband to come in’ and I love telling that mum, that she is not the only one that says that and its really not that true, its normally just that the Dads are busy and they dont know what to expect- so I like to reassure her that every time a Dad comes into the studio they have so much fun and a great time, that the studio is normally filled with laughter and huge beaming smiles and that no dad ever leaves without expressing their joy. So this Fathers Day we are going to make the gift decisions really easy for you- bring him in for a amazing family experience. We will spend a hour doing your beautiful family portraits- we promise you there will be laughter, smiles and the occasional bad dad joke and by doing these sessions, you will be giving him something that he will always remember. 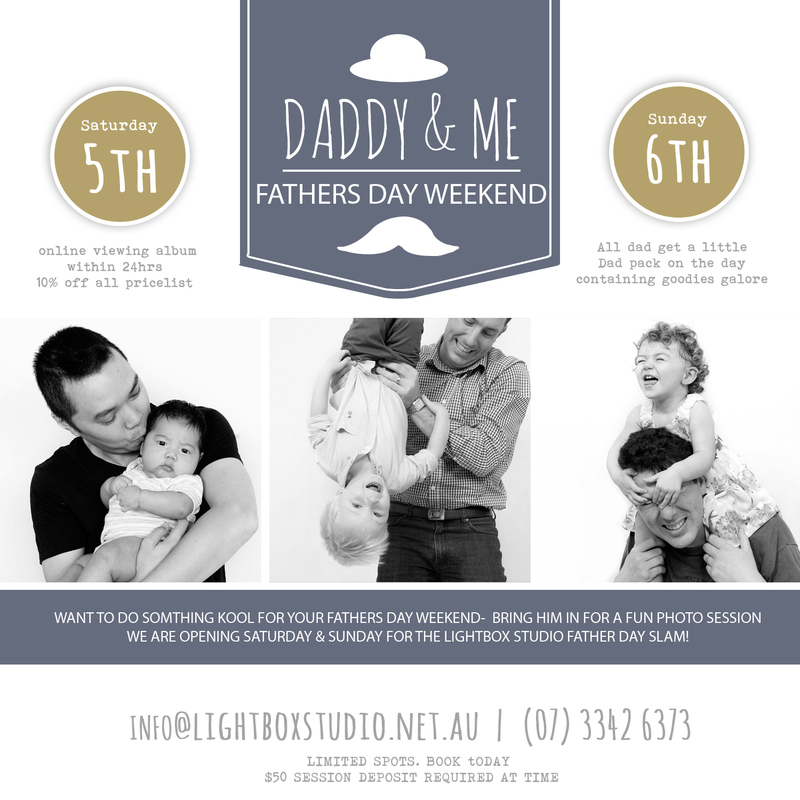 Over Two days – we will be photographing and laughing with all our booked family session, to create heartfelt imagery. Don’t miss out, these limited spaces will book out ..